I’m starting have a felling that the Napper Tandy’s in Stradbally, starting be be Jeca the Clown’ “luck” pub, I have been so many celebrations there, I starting even to know the staffs and I really enjoying the amazing space they have it. I say that some parties I did over there I have over 50 kids in a single party and it wasn’t a problem for the children entertainer Jeca the clown, people always ask me how can I do it and one of my main secrets is you must love what you do and love the kids too. One of the big challenges on weddings today everywhere is what we will do with the kids? I have a great news to give you, your solution is here, the children Entertainer Jeca the clown is for sure one of the best Clown in Ireland and has been covering many birthday parties, corporate events, festivals and weddings were bride and groom can relax with guesses and knowing that the kids are in good hands and the most important, they are having fun. I must say that I, (the children Entertainer Jeca the clown) am a big fun of weddings, a day with lots of happy people and a place where people really appreciate your work after seen all the guesses that has kids enjoying the afterwards without worry about the kids. Do you remember the ghostbusters? So, I now can sing: If you got a wedding and need a kids wedding entertainer. Who you going to call? The children Entertainer Jeca the clown went to Abbeyleix again but for the first time clowning around into the J Bergin’s pub and it once again was a successful party for me and in special for the birthday girl. The J Bergin’s pub is a place with a lot of character outside and inside and history too. The interesting thing that happened was a good away ago I was passing by there with some family members and got a lovely photo at the exactly place Jeca the clown is posing, and years after I saw myself doing a children’ birthday party inside. It is amazing to see the places the children Entertainer Jeca the clown is bringing me. The children Entertainer Jeca the clown is clowning around in one of his favorites town, Kilkenny. I have been as a viewer many times on Kilkenny art festival and I did many parties around this lovely town.It is so many parties around there that I not long only the most wanted clown in just in the Laois area but all around the midlands. I’d like to take the opportunity to thank you all from Kilkenny for the great support you all are giving to Jeca the clown. So, if you are looking for a children Entertainer you know who you going to call; Yes, Jeca the Clown! The children entertainer Jeca the clown was at Dunboyne, Co. Meath with a lot of energy and fun in his sleeve. The Dunboyne Community Centre is a great space to have your party with amazing room space for my show and afterwards with all great indoor sport space. So, if you leave in Dunboyne, Co. Meath or close by you know how to get a great entertainer to your party and place. You probably is asking yourself what a clown is doing in a pub and I keep saying: – Where you can find kids looking for a fun time you will find Jeca the clown. The Druid inn pub did a great job putting a great event for the local kids for a charity event. the children Entertainer Jeca the clown was there with all his equipment and skills to bring a great perform for all kids that attended it the Druid inn pub. Loads of kids but it was even better for me as entertainer; a great thanks for everyone that got involved on the day. The Mountmellick Summerfest street festival took place again this year with a lot of live music, treasure hunt, dog show, street games , craft stalls and of course the well know Children Entertainer Jeca the clown. I ‘m really suspicious to talk about this festival because I just love it. The live music is one of the highlights of the festival for me but is the kind of festival that all community be involved in something. 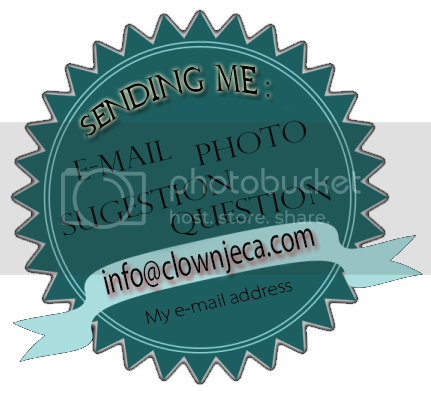 For more information about the children Entertainer Jeca the clown, please check it out here: www.clownjeca.com. If you get together a lovely hotel and a funny clown you will have the kilcoran lodge hotel and the funny children’s entertainer Jeca the clown, a great combination of a successful party for all. Some of the adults choose to relax at the hotel and others to watch Jeca the clown’ show, but the kids they were all with me having a lot of fun and spend a lot energy. At the end a lot of praising for the best clown around and parents happy not for only seeing the kids happy, but having a great time at the kilcoran lodge hotel too. See you all back soon from Tipperary. It is easy to know that the children’s entertainer Jeca the clown Had a lot of fun at the midland Child care in Portlaoise town. Jeca the clown used a special skill to introduce the character of a clown to those small kids and at the end everyone loved the show and no one got scared, that it was a great plus for me. Many photos are taken by the Creche and parents that I meet at the end of the preschool day. See the smiling on those kids face is priceless. A Formal Invitation to Toyota’s Car Show! It is show time in Toyota! A great corporate event and once again Children Entertainer, Jeca the Clown was present right in front to keep everyone happy. Here is a quick link to how Jeca the Clown entertained everyone in the event. Our team caught a lot of attention at the Toyota show. Conversely, organizers were very happy to have us there. To be honest, this was one of our most successful shows. So, are you prepared to learn more about the Toyota Show? If yes, sit back, relax and read on. Here are few words on how our day went at the event. As you browse through history, you will undeniably come across many clowns and fun-filled shows. This proves the fact that everyone loves to break stress and laugh out loud. This is exactly what Jeca the Clown did in the Toyota Show! Our team acted as stress busters and cheered the candidate racers. Leaving alone the participants, we were keen on delighting the little ones and elders with many magic tricks and live performances. Toyota show time was a perfect platform for us to grab the attention of many. Even today, I remember how many families and friends watched us in awe and amusement. Unlike conventional clowns who perform in comedy shows, birthday parties, wedding feasts, corporate get together and roving sessions; car shows are different. The event requires versatile performers who can handle any kind of crowd. And, Jeca the Clown is a true professional in this field. Our team has a strong profile with several years of experience in open shows. Rain or sun, summer or autumn, Cars or Bikes, Jeca is certainly the finest artist (clown) you can hire! Our Presence Made a Difference! According to the hosts, Jeca the Clown added more fun, charm and colour to their expensive event. Even staffs and visitors were delighted by Jeca’s performance. After all, entertainment is meant for everyone – from young children to adolescents to adults to elders – clowns like Jeca can lure any heart. On the whole, Jeca became extremely famous with the Toyota Show! The informal event gave my team a formal recognition in the city. And, the part of being paid highly to keep people happy took me through cloud nine! Personally, I cannot forget my day at the splendid car show at Des Hughes Motors, Toyota garage in Portlaoise.